Gluco’s expertise in hydraulic motion control makes it easy for us to build hydraulic presses up to 200 ton for almost any application. 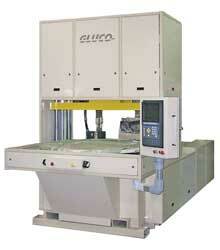 Contact Gluco for pricing on your next trimming, forming, laminating, die setting or compression molding application. Refurbished Presses.